There will be a fundraising concert held in the Church of Ireland church on Thursday 11th April at 7.30pm in Aid of Pieta House. 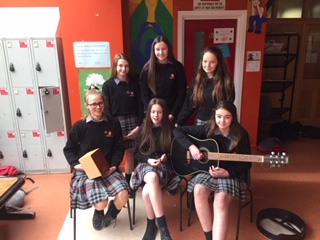 It will feature the musical talent in Coláiste Phobal from 1st Year right up to 6th year. It promises to be a great night with lots of music and singing. Further information will follow. Watch this space! Work is now well under way by Ms O Donoghue and TY Students on the school Yearbook. This will include many photos and articles along with pen pictures of 6th years and much more. Many class-room based assessments are taking place at the moment including Second Year Business and Third Year Science School Activities. 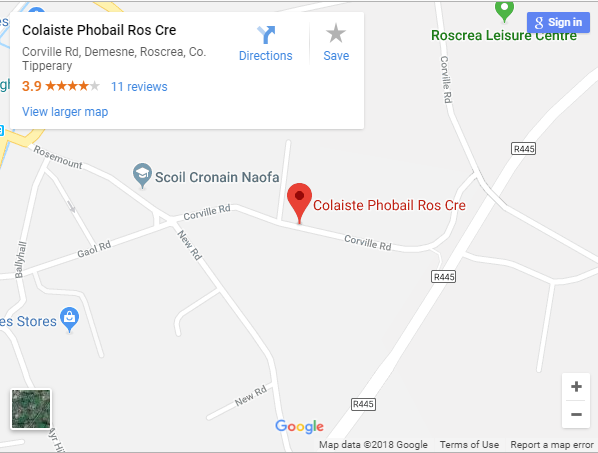 Bhí Seachtain na Gaeilge linn an tseachtain seo agus bhí gach éinne ag baint úsáid, taitneamh agus tairbhe as an teanga. Tá sé ár dtír, ár dteanga, ár gcultúr agus ár gcroí. Activities included St. Patrick’s Day cards competition, public speaking best entry, drama, a busking competition and much more!! Well done to the Irish Department for co-ordinating all the events. This week included Mock German Orals for the Leaving Certs. Last week we had Mock Orals for Irish. This is always good preparation for the real thing coming very soon. Transition Year students did a practice hike for Gáisce to the Slieve Blooms on Thursday 14th March. They were accompanied by Mr Haugh (Gaisce Co-ordinator), Ms Mulrooney (Ty Co-ordinator) Mr Boyle and Ms Larkin. Well done to 1st Year student William McCarthy who defeated Damien O’Connor in the Kildare County Boxing Tournament and will now represent Kildare in the Leinster tournament. Well done to Coláiste students James O Connor 3rd Year and Ben Hynes 5th Year on their All Ireland success in the Under 18 Darts All Ireland representing Offaly. They were members of the Offaly darts team along with 6 others.